Pan-fried or deep-fried oysters are a delicious treat. Their flavor is strong, rich and salty. Oysters pair well with citrus, black pepper, cream, corn, artichokes and other savory flavors. 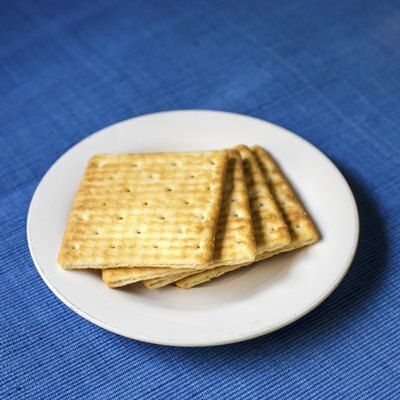 They are especially popular in French, Southern and Asian cuisines. Fried oysters may be enjoyed with a number of sauces and condiments, or they may be served with salad, soup, bread or even other fried foods, such as French fries. Champagne or white wine are excellent foils for the dark, lush taste of fried oysters, as are some crisp beers. Fried oysters are often served with sauces or condiments. 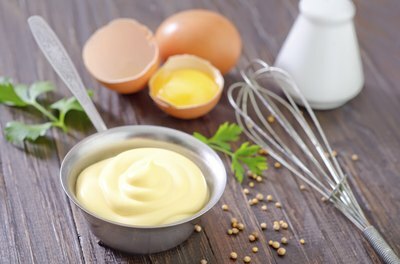 Favorites include remoulade, a spicy mayonnaise-based sauce; citrus vinaigrettes; malt vinegar; hot sauce (such as Tabasco); tartar sauce; cream-based sauces; ponzu dipping sauce; sliced lemon or lime wedges; tomato or corn-based salsas; hot butter with citrus or vinegar sauces; and fresh herb purees like basil pesto. Most of these sauces include a creamy element to complement the oysters as well as a sour element to accent their deep, meaty flavor. Some oyster sauces may include alcohols, such as Pernod, vermouth, beer or white wine. An excellent accompaniment to fried oysters is a creamy soup or cool gazpacho. Cream of artichoke soup, cream of celery soup, cream of chanterelle soup and cream of chicken soup are all strong options, as are tomato, corn or shallot bisque. These may be served hot or cold. 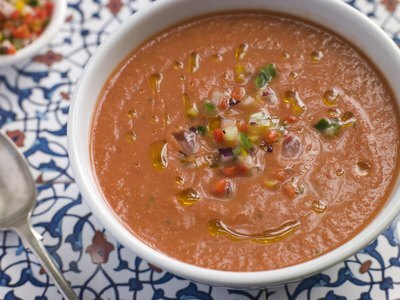 Tomato or red pepper gazpacho can be a light, refreshing side, mitigating the heaviness of the fried oysters while enhancing their fullness and savor. Another classic side for fried oysters is a salad. These may be composed of everything from wilted, vinegary greens to fresh radishes and cucumbers. Sometimes citrus fruits, like grapefruit, are used. Slaws made from cabbage, carrots and other fresh vegetables are often paired with fried oysters in Southern and Asian cuisines. Salads that accompany fried oysters are usually dressed with buttermilk or vinaigrette-based dressings. Many people would agree that few things are as delicious as fried oysters served with fresh French bread. In fact, this is the base for the famous New Orleans oyster po’ boy sandwich. Other types of bread besides French bread may be used, including sourdough bread and cornbread. Fried oysters may also top crackers, and pepper crackers are especially favored for this purpose. When serving fried oysters with bread or crackers, savory sauces are especially appreciated, as the bread can be dipped in these before being topped with the oysters. Many other side dishes pair well with oysters. 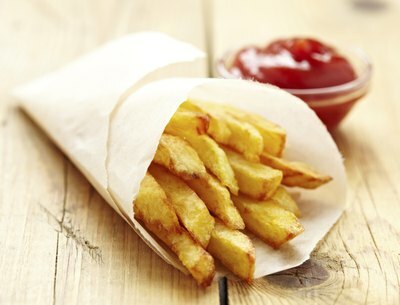 Restaurants often serve fried oysters with French fries, onion rings or sweet potato fries. Another popular option is to fold fried oysters into omelets, along with scallions, fresh herbs and bacon. Corn in many forms goes well with fried oysters, from creamed corn with pimentos to corn on the cob.